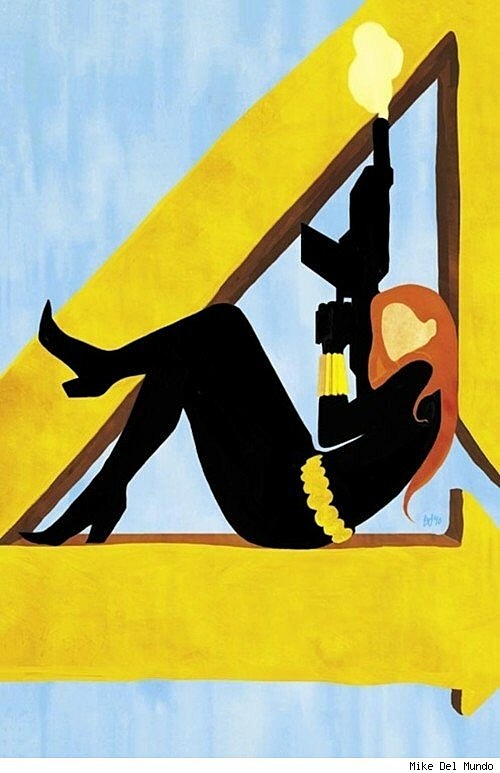 A great comic book cover is both an advertisement and a work of art. It is both a statement and an invitation. 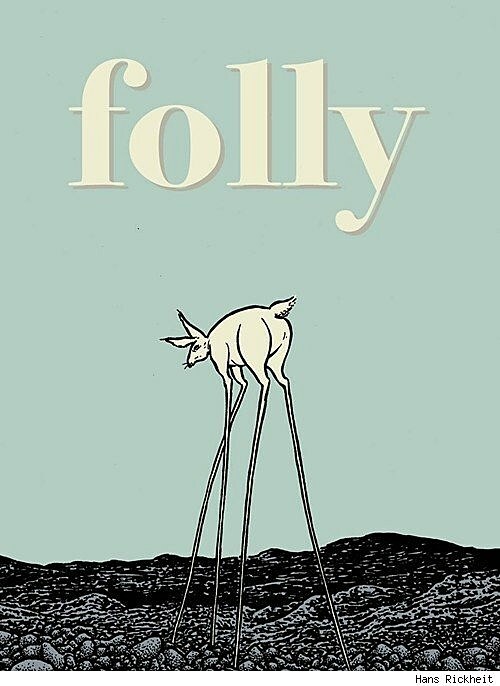 Sometimes a great cover conveys character, sometimes mood, sometimes moment. Great covers can pastiche the classics or pay tribute to the past, or they can strive to show us something new. Great covers always show us a glimpse of somewhere else on a canvas no bigger than a window pane. In Best Comic Book Covers Ever (This Month), we look back at some of the most eye-catching, original and exceptional covers of the month that was. The big noise on the racks this month was Marvel's Avengers Art Appreciation Month. 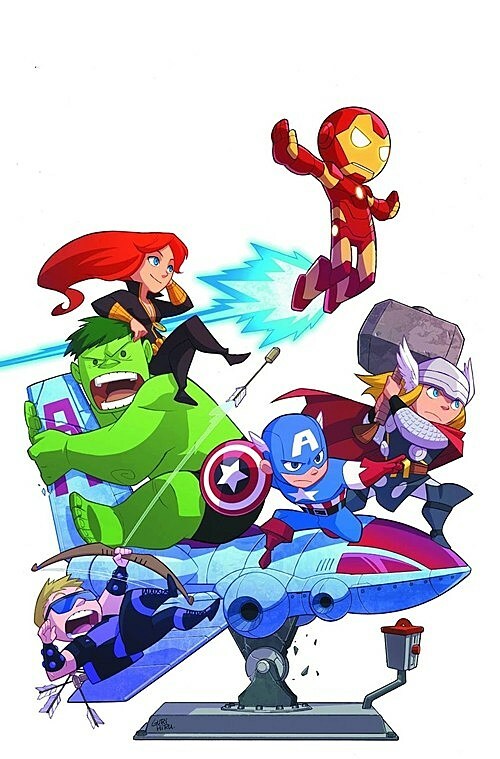 To mark next week's release of the Avengers movie - and following on from 2009's Wolverine Art Appreciation Month - the Mouse of Ideas invited artists to create Avengers-themed pastiches of fine art and cartooning legends for its variant covers. It's a weird gimmick that led to a lot of covers with even less than usual to do with the contents of the book, but it did create some beautiful pieces. So what are we waiting for? Let's appreciate some art! Erté is one of the great masters of the art deco aesthetic, and his use of shape and color was exemplary. 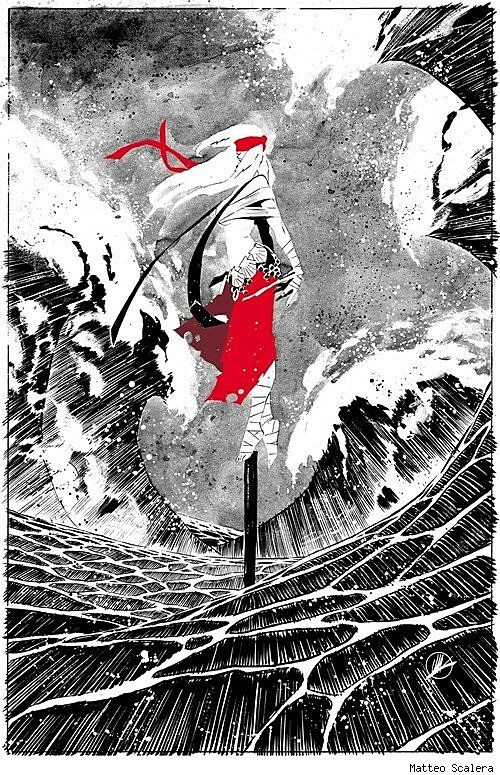 I see his influence in the work of such diverse talents as Yuko Shimizu, Maurice Vellekoop, Sanjay Patel and Emily Carroll, but I think his grasp of graphic simplicity should be more widely appreciated in comics. John Tyler Christopher has done a lovely job of capturing his elegance here. 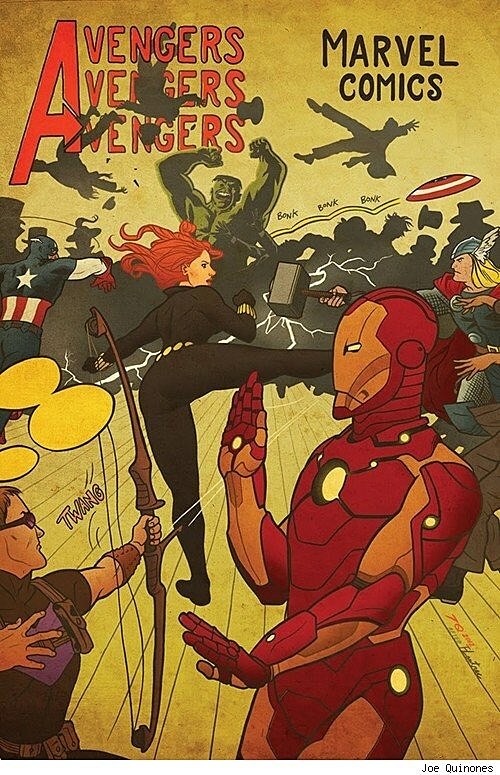 Black Widow is the only Avenger to get a solo cover in Avengers Art Appreciation Month, and she got two of them! Strikingly, neither of them are cheesecake. This cover was Del Mundo's second entry into the event. I feel like the other, for Amazing Spider-Man #683, got more attention, but this is the one I love. It reads like a Madison Avenue take on Milton Avery's abstract paintings. 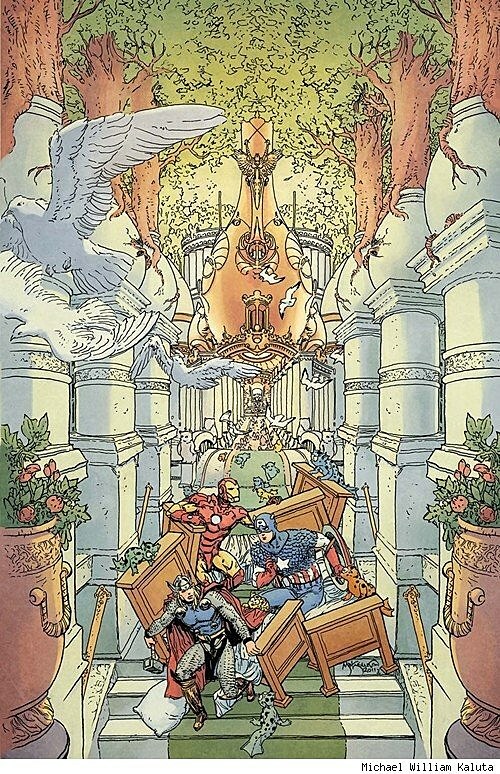 Avengers in Slumberland! There have been so many Little Nemo pastiches in the world that any new entries really need to step up. But for Mike Kaluta, that's not a problem. It takes a bold man to try to reduce Georges Seurat's six-foot-by-ten-foot pointilist masterpiece Un dimanche après-midi à l'Île de la Grande Jatte down to the size of a comic book cover. I suspect Totino didn't actually paint this point-by-point as Seurat did, and the effect is a little muddy (I must have looked at this cover a dozen times before I noticed Black Widow standing next to Thor), but I applaud the attempt! I think this is my favorite Art Appreciation cover. 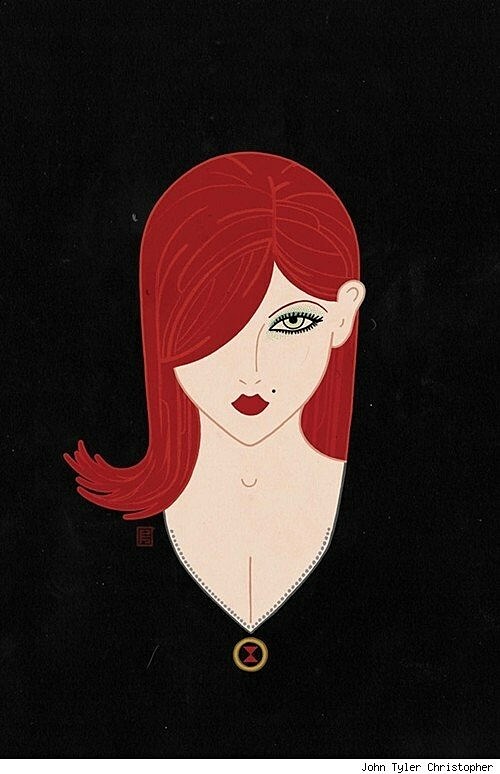 It's a witty and subversive pop-art take on Toulouse-Lautrec, and turning a Moulin Rouge cancan dancer into a high-kicking Black Widow is inspired. 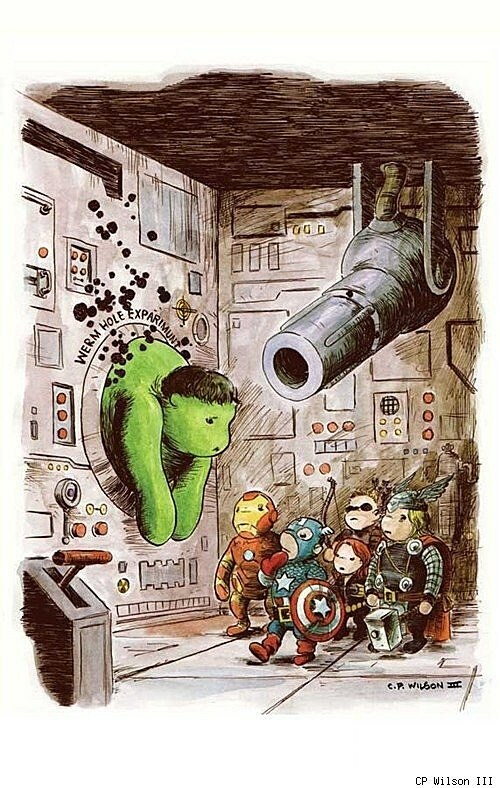 Winnie the Pooh Hulk is the best Hulk since Where The Wild Things Are Hulk. If this is a pastiche, I'm not sure what it's pastiching; it's possible the guys at Gurihiru Studios didn't get the same memo as the other Art Appreciation guys. But it's still great, isn't it? 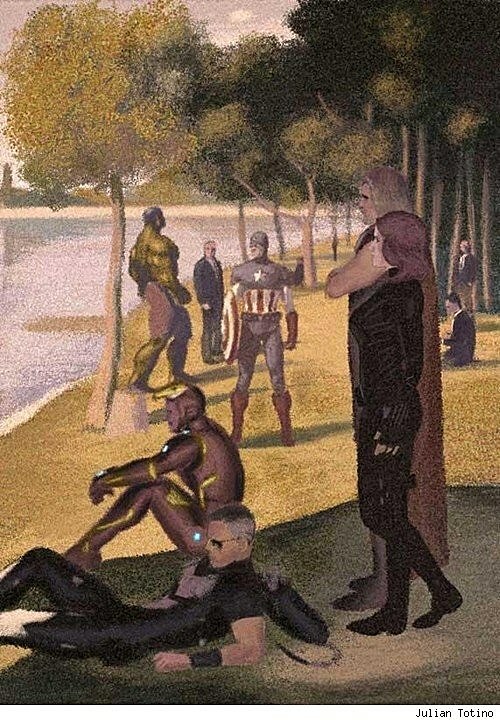 That's enough Avengers Art Appreciation. Let's get on with Regular Art Appreciation. 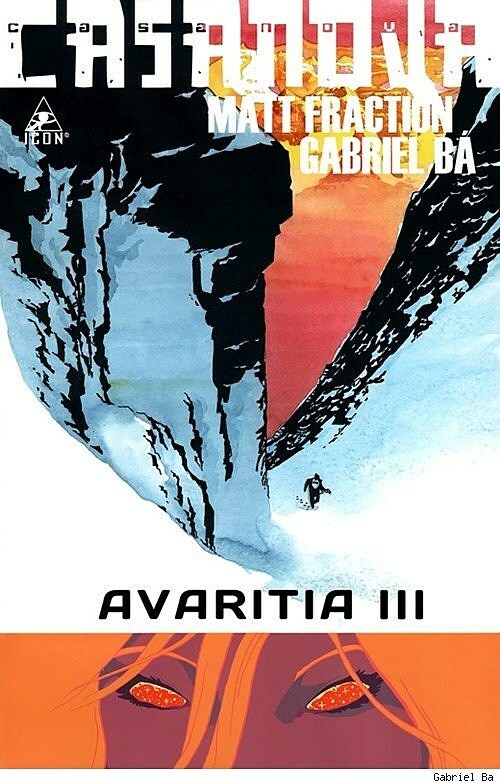 I'd like to think that every time Matt Fraction sees the latest glorious contribution that Gabriel Bá or Fábio Moon has made in building the look of the Casanova world, he weeps a little with gratitude. Hans Rickheit has a gift for creepy that could make him America's answer to Junji Ito. But you probably gathered that from the cover. It's a picture of some sort of fluffy rabbit creature; that shouldn't be nightmare-inducing, right? So why am I worried that it might be looking at me? Noir. Now in glorious Technicolor. 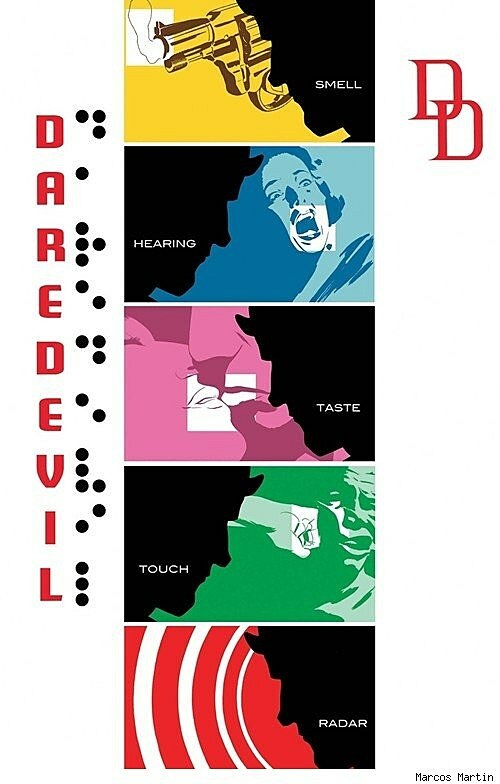 There are two elements I love here; the rainbow of senses is a simple visual way to establish Daredevil's world and powers, and the logo with the Braille is much stronger than Daredevil's usual logo. 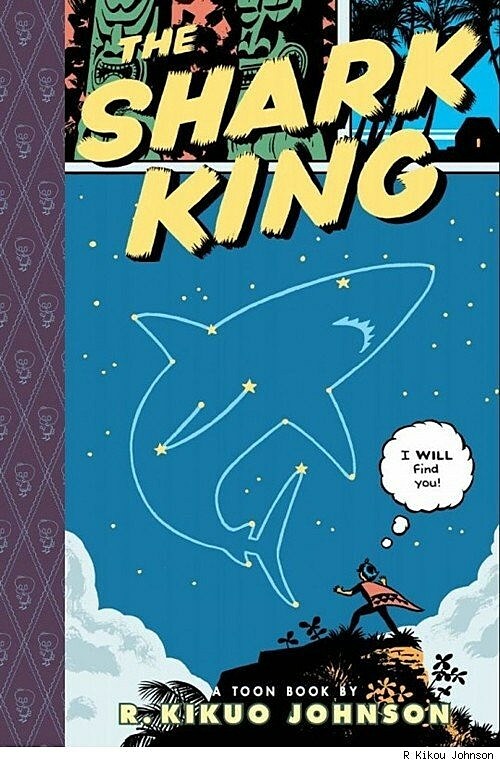 Consider this a victory lap for one of the best covers of last year. It's testament to how great this cover is that it started out as a variant cover and ended up as the cover for the trade. Jimmy Corrigan Super-Man, is that you? 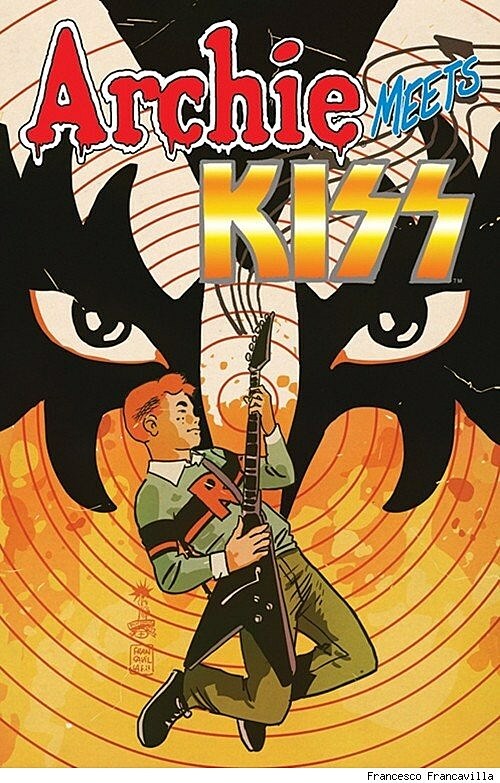 Another 2011 cover makes a trade paperback comeback. 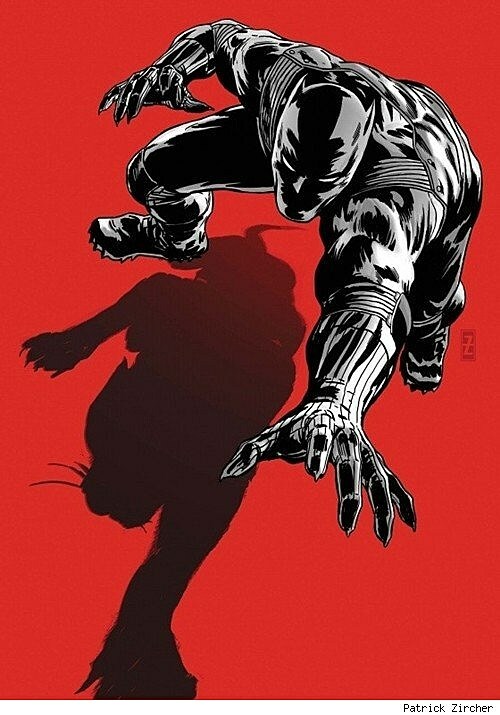 I think this may be one of the all-time best Black Panther images. Simple, dramatiic, iconic. This is an elegantly sombre picture postcard; a beautiful but unglamorous tourism ad. This is not an invitation to an exotic destination. 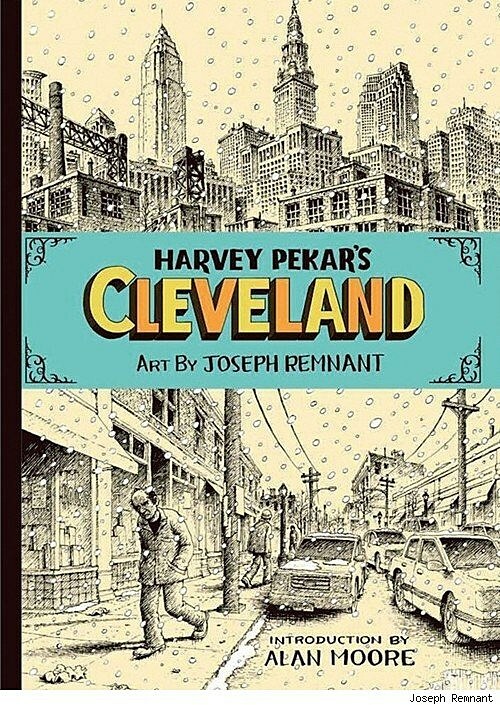 This is the doorway to Harvey Pekar's Cleveland. Do not pack sunscreen. I feel like the fella should probably be lurching back a little more, given the circumstances - and his lady friend has chosen a terrible spot for a nap - but the colors and the craziness on display here are a great example of Juskovian excess. Ah, that dependable design classic; spot red on a black-and-white cover. 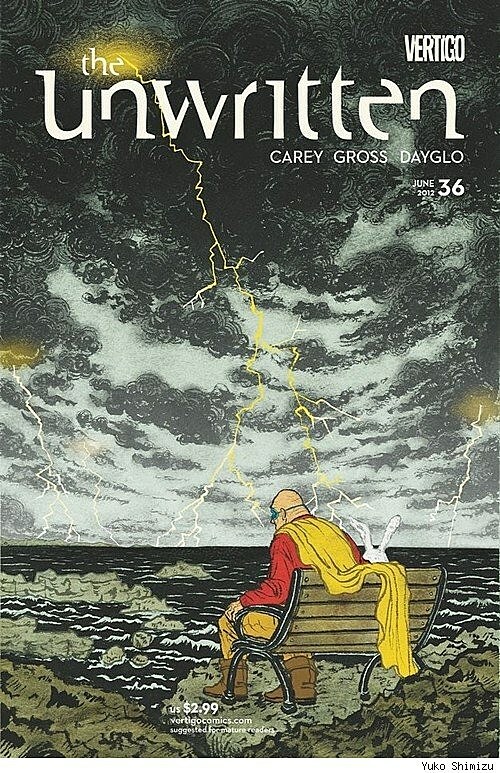 But that's not all this cover has going for it; it also has a blindfolded woman balancing on a pole in the middle of a stormy sea. 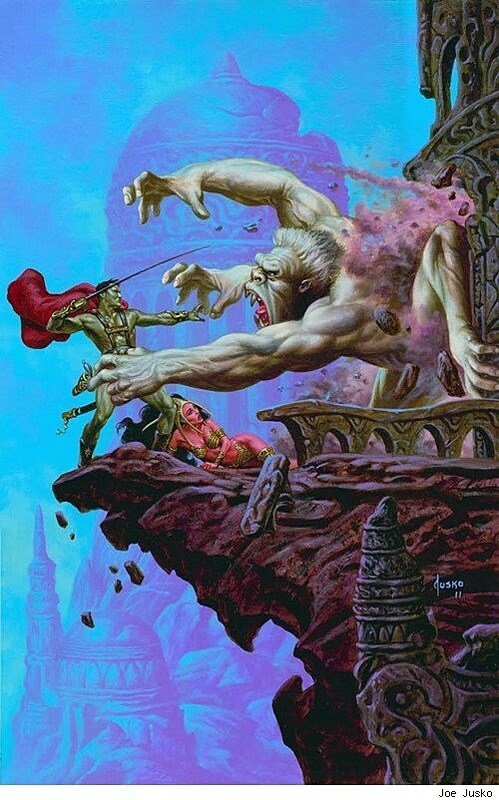 At some point I should really find out what Valen the Outcast is about, because this looks awesome. 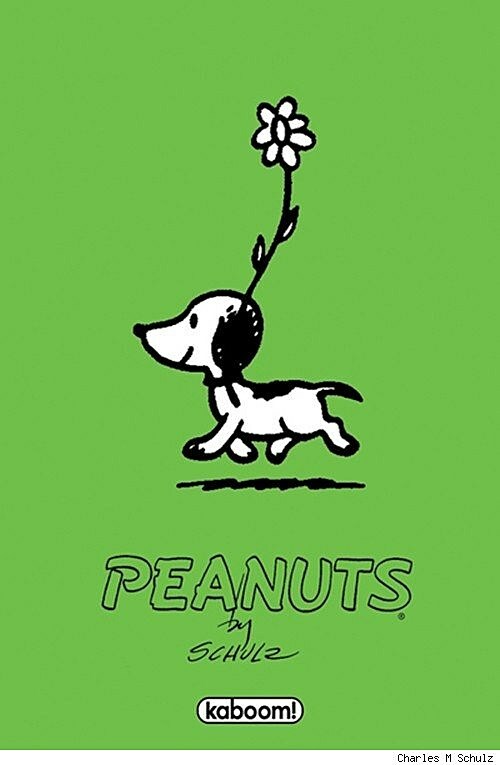 This is the 'first appearance' variant cover featuring the original Snoopy design, which I have to say I prefer to the more familiar big-nose version. That's right; I liked Snoopy before he sold out and went mainstream. Spot red on black-and-white! Everybody drink! 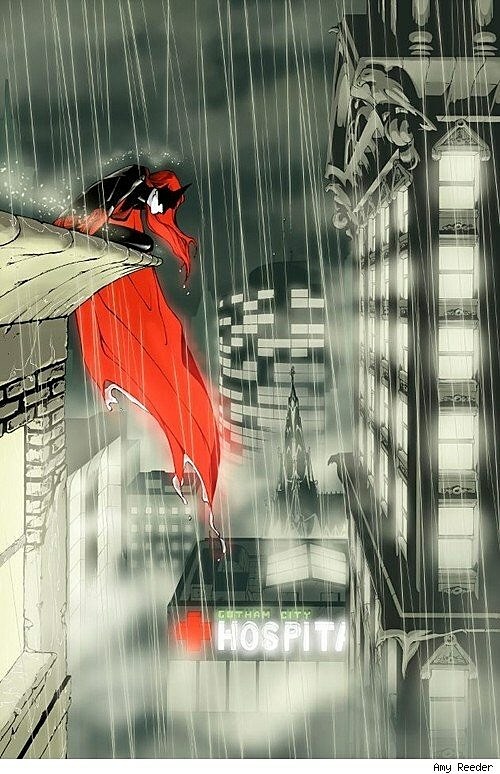 What I love about this cover is that it takes an iconic Batman moment - the hero perched on a rooftop looking out over the city - and gives it a sleek, updated Batwoman look. I don't know where Pickens County is, but I never want to go there. 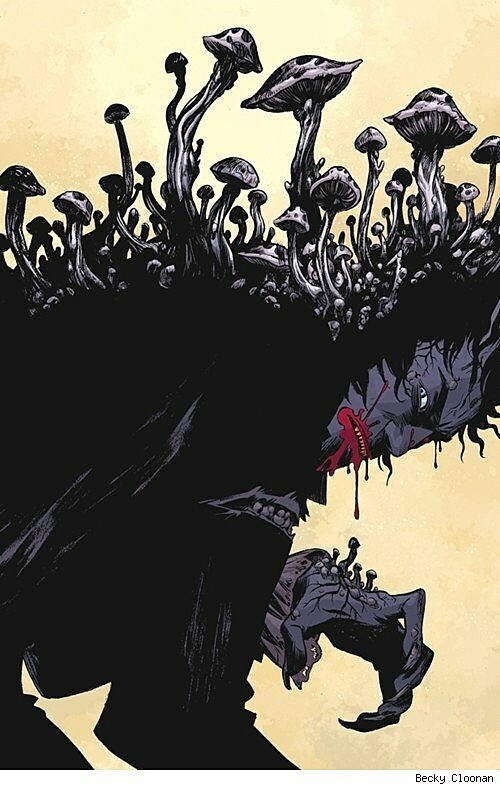 This is a deliciously gruesome piece from Becky Cloonan, and I love the bloody fanged mouth, the bright blue eye, and the way the top of the page reads as landscape until your eye travels down to discover the horror.